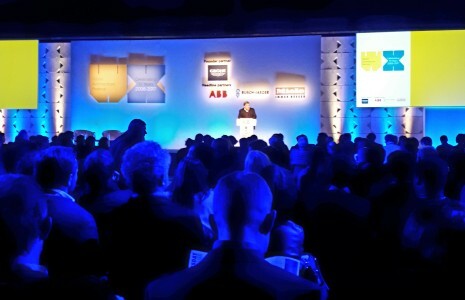 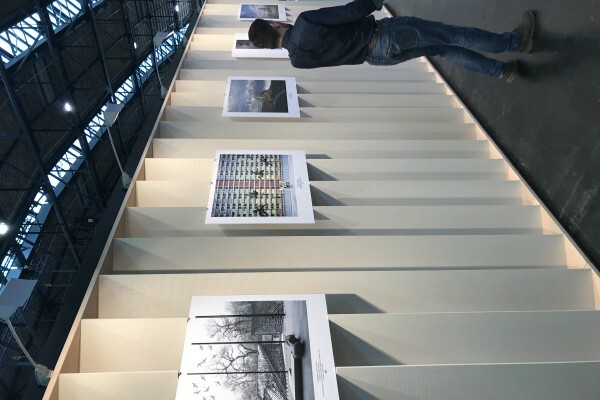 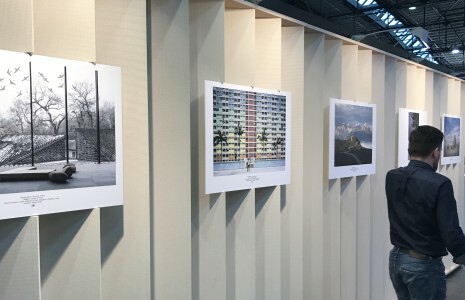 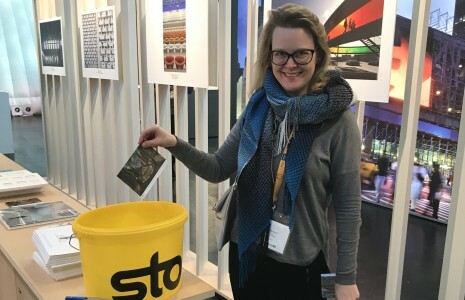 For the second, and final time in Berlin before moving to Amsterdam, Sto sponsored the Architectural Photography Awards of the year competition at the World Architecture Festival in Berlin. 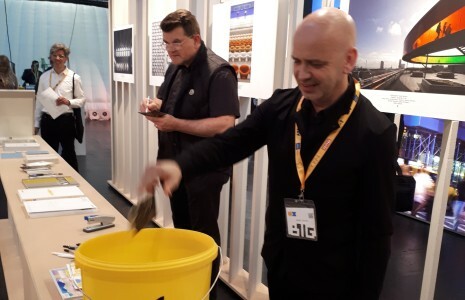 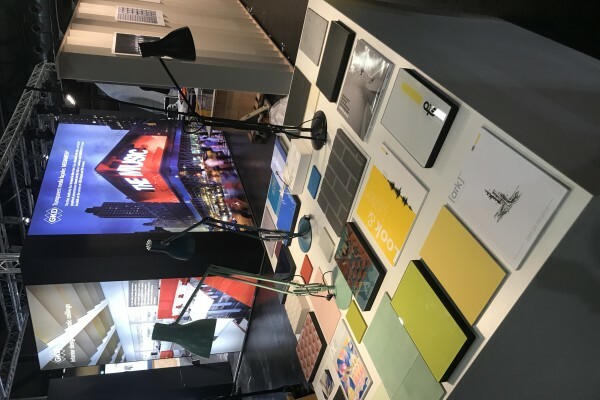 The guests, mainly director level of the world’s largest Architectural Studios, were invited to vote for their favourite image on a display stand constructed of Verotec Render (and Glass) carrier boards. 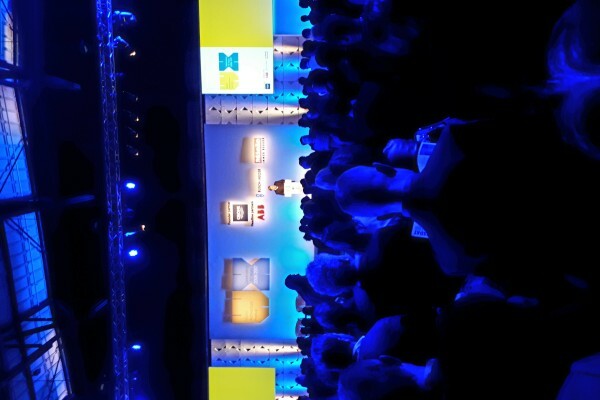 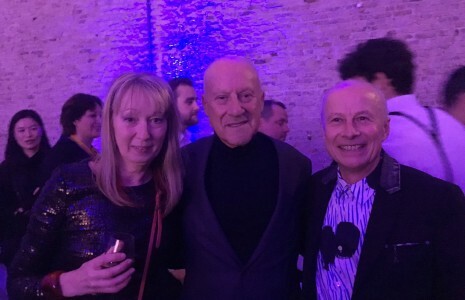 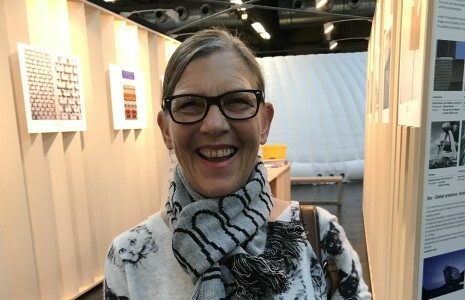 As in previous years, Sto’s “ambassador” Ulrike Stotmeister was invited onto stage during the announcement of the winner at the so-called gala dinner which was attended by the architecture world’s elite- a fact reinforced by the special prize given to Lord Norman Foster immediately prior to Sto’s award. 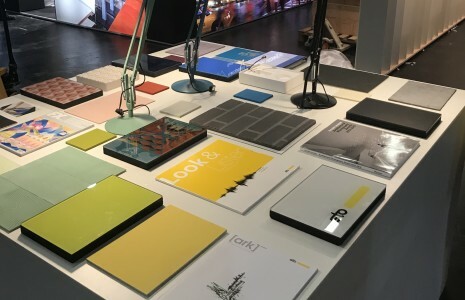 In addition to the excellent networking opportunities, and for the first time, Sto used the festival to display or surfaces under the theme of “materiality” on an adjacent table, with special attention paid to surface for which Sto is not associated- bespoke render (StoSignature), StoSilent and StoVentec Glass. 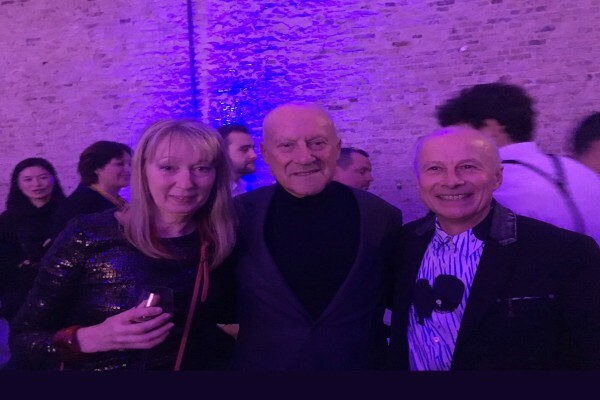 Also for the first time we were accompanied (helped) by colleagues from the German and Scandinavia organisations in the form of Martin Diestel and Katherine Jacobson. 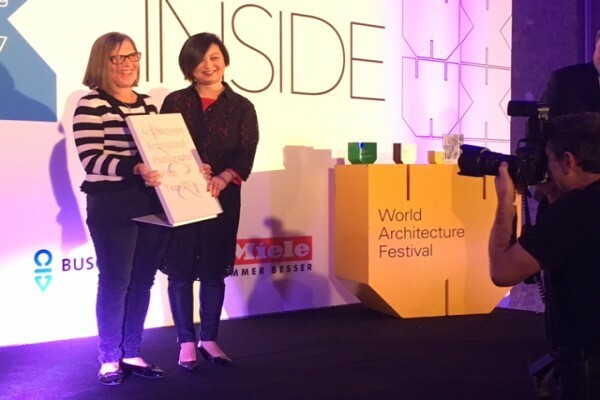 During the event , which was held exclusively in English, both used the opportunity to get to know leading Architects from their regions and agree follow up appointments. 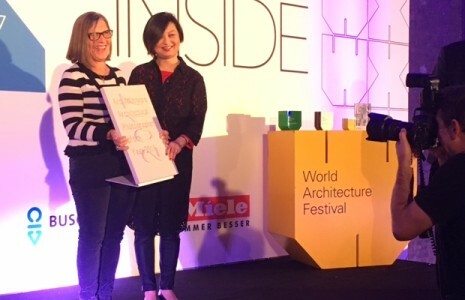 All three partners of the Global architectural Studio "BIG" (Bjarke Ingels Group). In the Centre Kai-Uwe Bergmann (a previous judge of the Sto Architectural photography competition). 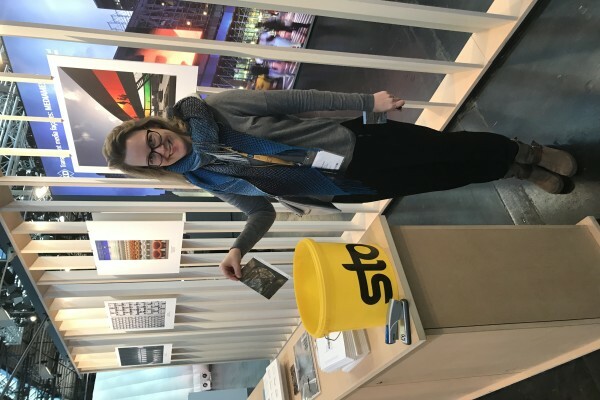 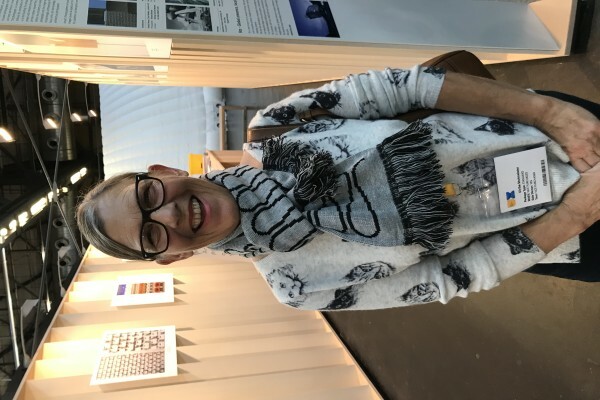 Ulrike Stotmeister sporting a scarf gift from last year's collaboration Architect, Sam Jacob with the internationally standardised motive of "insulation"
The adjacent Sto materials are featuring StoSignature, StoVentec Glass, StoSilent, Ark and diverse other media. 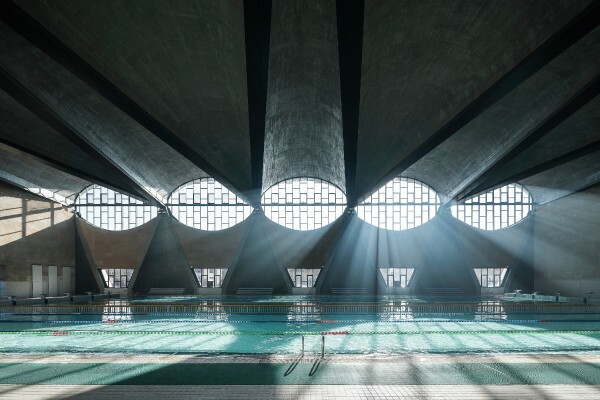 Terrence Zhang , winner of the Sto-sponsored Arcaid images photography Award 2017 at the World Architecture Festival for the 'Swimming Pool', at Tianjin University New Campus.